The 2016 Boston Flower and Garden Show Coming This March! The Boston Flower and Garden Show is the biggest indoor spring flower show in the United States and one of the Top 30 Flower and Garden Events in the U.S. It returns this year with more stunning garden displays curated by renowned landscape professionals, and with lectures from some of the top local nursery owners and industry experts. From lectures and demonstrations to garden exhibits and marketplaces, the 2016 Boston Flower and Garden Show will bring the latest flower and gardening information – and products – to the Seaport World Trade Center in Boston from March 16th to the 20th. The theme for this year’s Boston Flower and Garden Show is Nurtured by Nature, which is perfect because attendees will surely be nurtured by all of the lovely sights and knowledge available at the show. The care that’s put into the garden displays at the Boston Flower and Garden Show is astounding. Landscape artists, floral designers, garden growers, and more show off their most brilliant flower arrangements and garden plans, and they gather to offer their bits of wisdom and their enthusiasm for flowers. Guests typically come away inspired to include more flowers in their lives in some form. Well-designed gardens and floral displays at the Show include popular houseplants, garden varietals, and common flowers for arranging. 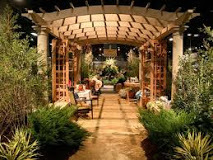 The Show is filled with opportunities to learn how to liven your living space with flowers, spruce up a classic or modern garden, and even grow flowers and plants for food. To find out more about the Show, visit the Boston Flower and Garden Show’s website. You’ll be able to view hours and ticket prices, and you’ll get directions and parking information. There will be a coat and bag check at the show, so you don’t need to worry about lugging these items around as you marvel at all of the displays. And, there will be plenty of photo opportunities so bring your camera! The San Francisco Flower and Garden Show 2016 New England Grows 2016 Macy’s Flower Show Georgia’s International Cherry Blossom Festival Coming This March!